A decent pair of black shoes is a must not only for women but also for men. 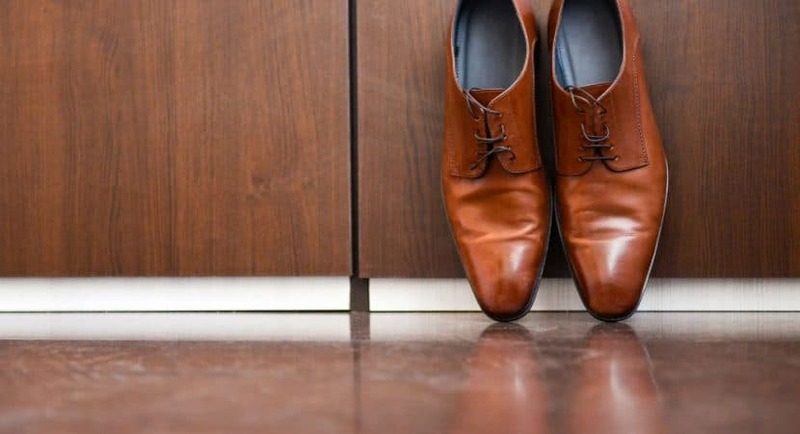 Most of the time, women are the ones who have a vast collection of footwear at home, but men should also have a quality pair of shoes in their closets. So why should men buy good shoes? A man should also be meticulous in choosing his footwear because it indicates his status and helps him look sharp from head to toe. Read on and let us tell you why you should wear your best black dress shoes whenever you go to work or even at a special occasion. Wearing a classic pair of shoes is a key ingredient in every gentleman’s style. If you are the type of man who prefers to wear the first pair of shoes your eyes lay on, you might have to take extra time in choosing which pair of shoes is perfect for your get-up. You might probably want to step up your footwear game because whether you like it or not, your choice of shoes can say a lot about you. Now, if you are in the market for stylish, sharp-looking shoes that do not burn a hole in the pocket, this article might help you. We put together three options, and we will tell you why each one deserves a space in your closet. See if any pair will suit your needs. Clarks has been known for making comfortable and sturdy shoes for more than a century. This company has undeniably set an empire in the shoe business. From classic soles for low-maintenance gentlemen to sporty-looking footwear for outgoing guys, Clarks has a wide variety of styles to choose from. One of Clark’s popular style is the Tilden Walk Oxford. This pair is not only beautiful, but it is also very comfortable so it is perfect for any guy who would love to wear a decent pair of shoes but does not want to compromise comfort purely for style. These black lace up shoes are made up of leather which makes it a great option for men who are always on the go and do extensive walking. This model has an OrthoLite footbed and breathable leather uppers for superior comfort. It features metal hardware on the side which makes it fine- and classic-looking. These ultra-wearable shoes also have elastic side gore making it easier to take on and off. Bruno Marc has a reputation for creating shoes that are fitted with various types of customers, from business executives to sports lovers and laid back guys. They have hundreds of shoes to choose from, but Bruno Marc DP Men’s Formal Modern Classic Lace Up Leather Lined Oxford Dress Shoes is one of the most popular models. These elegant-looking dress shoes are perfect for those gentlemen who are looking for a pair of soles that feature unparalleled comfort. They have a classic lace-up design and latex cushioned footbed to ensure that your feet will not hurt even after a long day of walking and moving. This brand also features faux leather uppers , perfect for those types of men who want stylish yet comfy footwear. 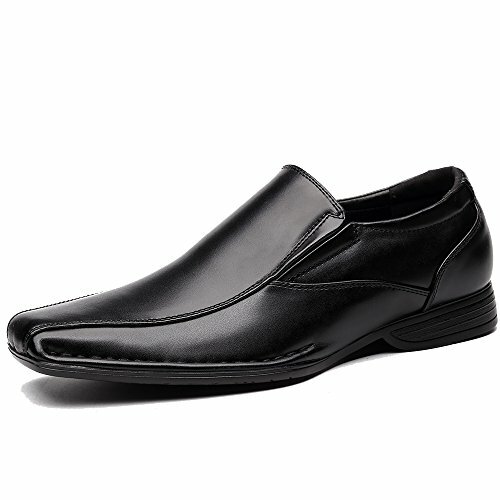 If you’re looking for a pair of comfortable loafers without a hefty price, try OUOUValley Classic Formal Slip on Leather Lining Modern Loafer Shoes. These elegant soles are specially designed for men who walk at work for long hours. Aside from that, this model is flexible for your every need. It is a perfect match for everything; a pair of shoes that you can wear with slacks or jeans. 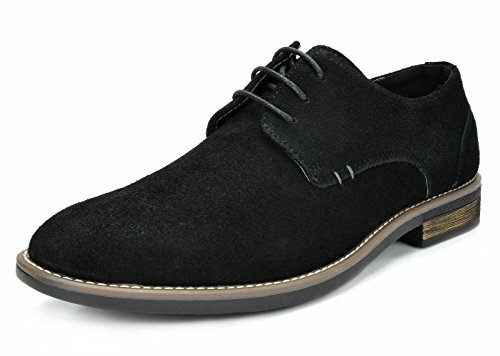 This brand is one of the best black dress shoes because it satisfies the need of men for simple yet flexible footwear that they can wear for whatever condition. It features a rubber dress sole for slip resistance and a premium leather lining for long-lasting comfort. Also, these shoes have one-inch heel height making you look taller. Shoes are important to a man’s overall appearance. Your footwear is one of the first things that people notice about you. That is the reason why you should always be careful in choosing a pair of shoes. Of course, you must wear something that is comfortable for you, but it is very important that you select the right pair for a specific purpose. May it be a sports tournament, a business affair, or a wedding event, your shoes will not only allow you to act properly, but they will also help you set a good impression among the people you encounter. Every man should know which black dress shoes are best for him to use in corporate meetings or formal events. There are a lot of available options in the market, but it will still end up with each man’s personal taste and style. The three dress shoes mentioned above are perfect and unique in their own ways, but when it comes to material quality, Clarks Men’s Tilden Walk Oxford obviously takes the lead. Bruno Marc DP Men’s Formal Modern Classic Lace Up Leather Lined Oxford Dress Shoes, on the other hand, are perfect for gentlemen who are looking for an elegant yet affordable pair of shoes. And the OUOUValley Classic Formal Slip on Leather Lining Modern Loafer Shoes is suited for men who are on the hunt for decent yet minimalist shoes. Which pair do you like best?